The Jean Patrique Chopaholic 5 Piece Essential Knife Set is the perfect selection of knives for anyone seeking to upgrade their kitchen! Each knife is crafted from single forged stainless steel, rendering the knives superbly strong, durable, easy to maintain and hygienic (with no nooks or crannies). Constructed with high quality carbon stainless steel, these knives stay razor sharp and can be used for chicken, beef, lamb, pork, venison, fish, vegetables, cheese, bread or whatever you set your mind to. Designed with an ergonomic handle, to be both easy to use and aesthetically pleasing. This set includes all your essential kitchen knives, with a 10” carving knife, a 9” bread knife, an 8” chef’s knife, a 5” utility knife and a 3.5” paring knife all included. 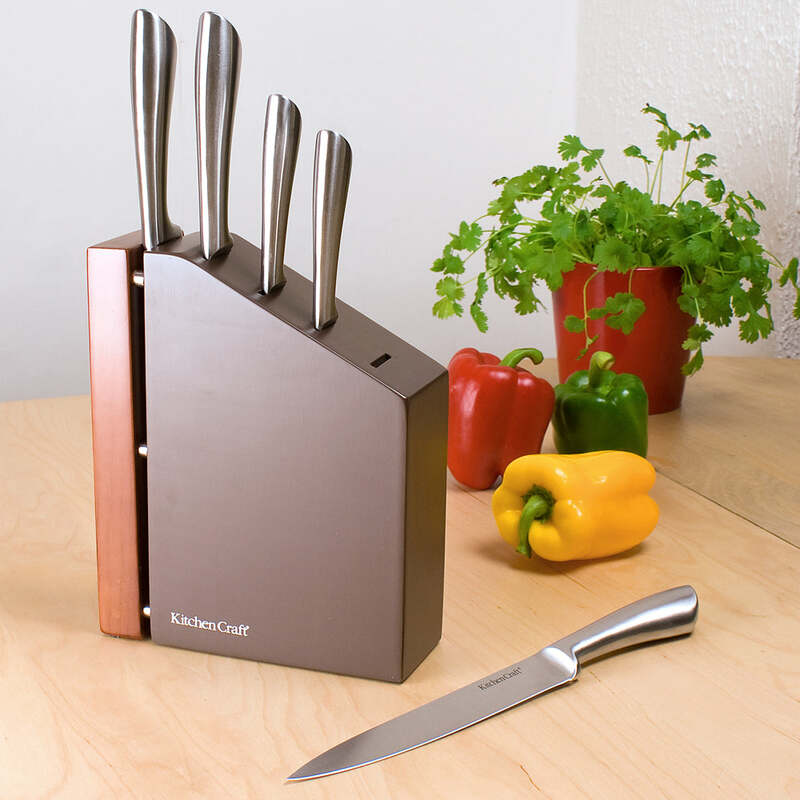 PERFECT KITCHEN KNIFE SET – Includes 5 essential kitchen knives: a 10” carving knife, a 9” bread knife, an 8” chef’s knife, a 5” utility knife and a 3.5” paring knife. HIGH CARBON STAINLESS STEEL – Made with high carbon 3Cr13 stainless steel for strong knives that will hold sharp edges for a long time. SINGLE FORGED – Forged continuously in a single piece for strength and hygiene, eliminating the chance for bacteria to enter any nooks or crannies. 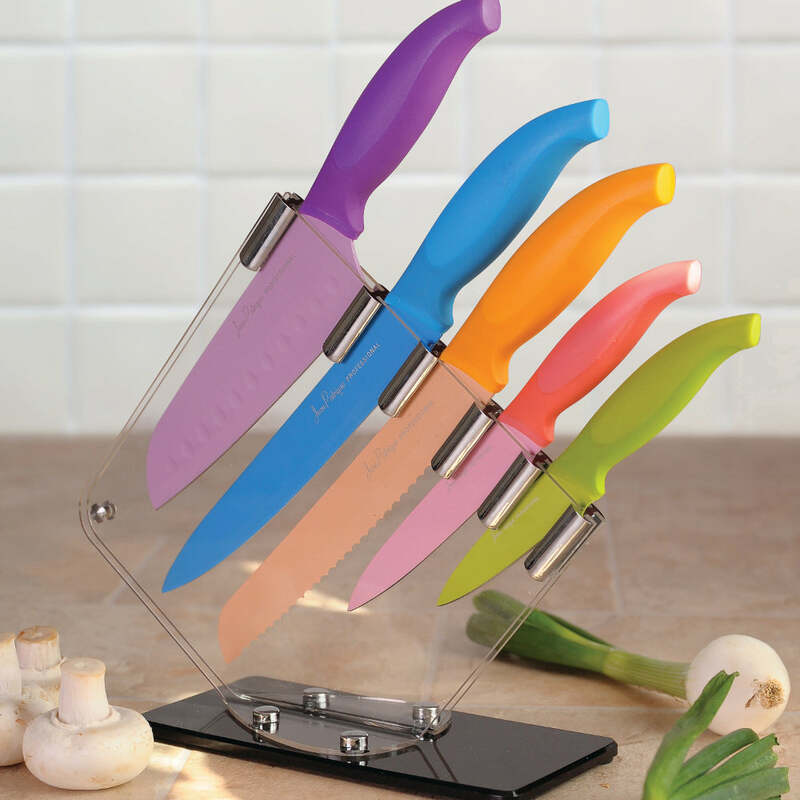 DURABLE – We believe in the longevity of our knives and offer a 25-year Jean-Patrique Warranty on this set. Excellent knives at a great price. I am so pleased with these knives. They look stylish, they are comfortable to hold and cut beautifully. Amazing knives and great value! I won't go back to my old knives after trying these. Also bookmarked your website as I have my eye on a few other products.